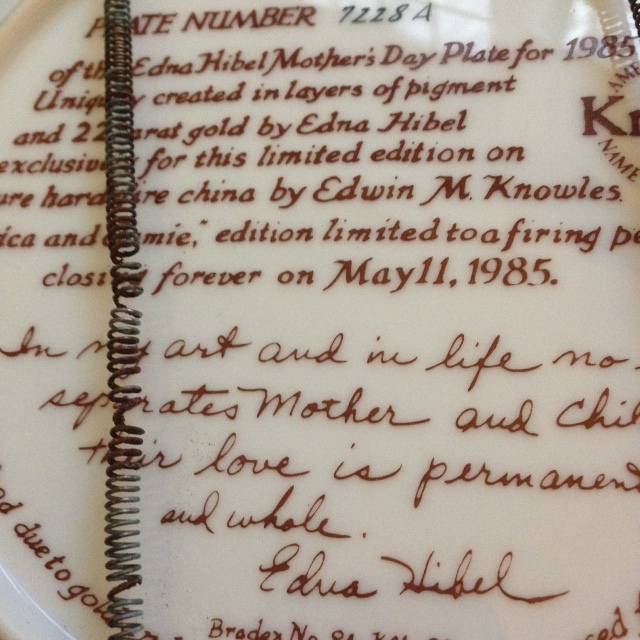 The prices for Edna Hibel plates are all over the map on the internet. One site is selling this particular plate for $75.00, while I’ve also seen the exact same plate – denoted as “used” – for about $5.00 on eBay… and every price in-between. 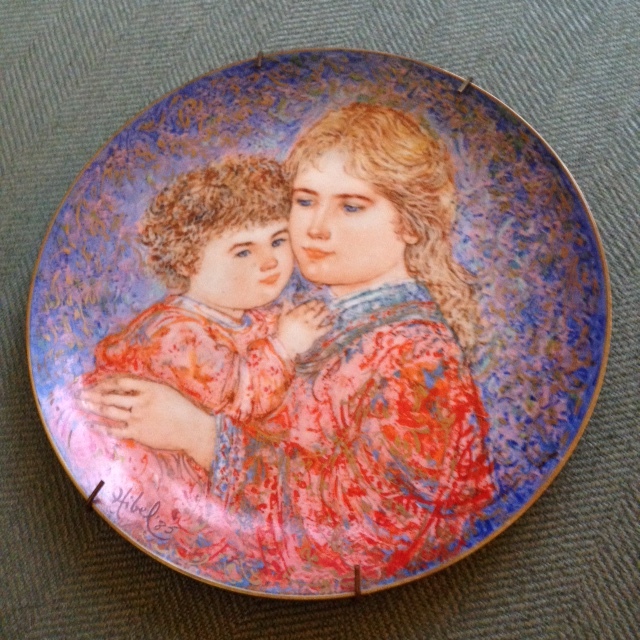 My best guess is that this sweet little plate – which coincidentally came out the year my daughter was born – is worth about $20.00. 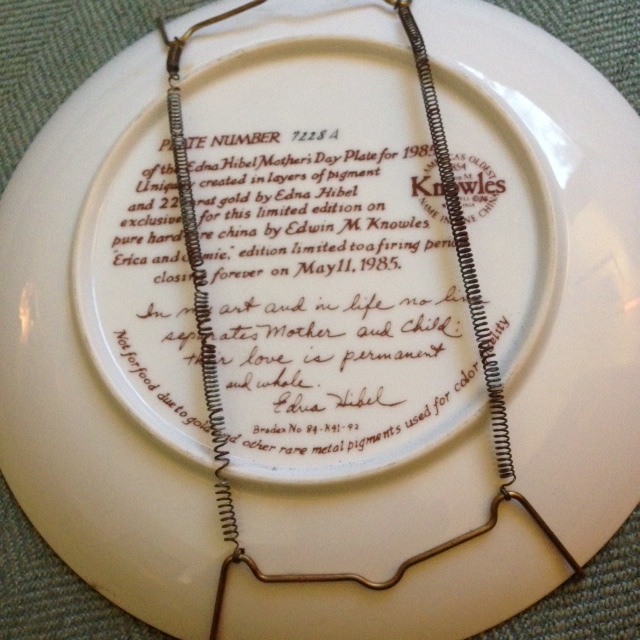 It comes complete with the hardware for hanging, although the original box has been lost. It appears to be in pristine, never-used condition. Defects, Nicks and/or Blemishes: None noted. The mounting hardware on the back of the plate is a bit stretched from normal wear and tear. 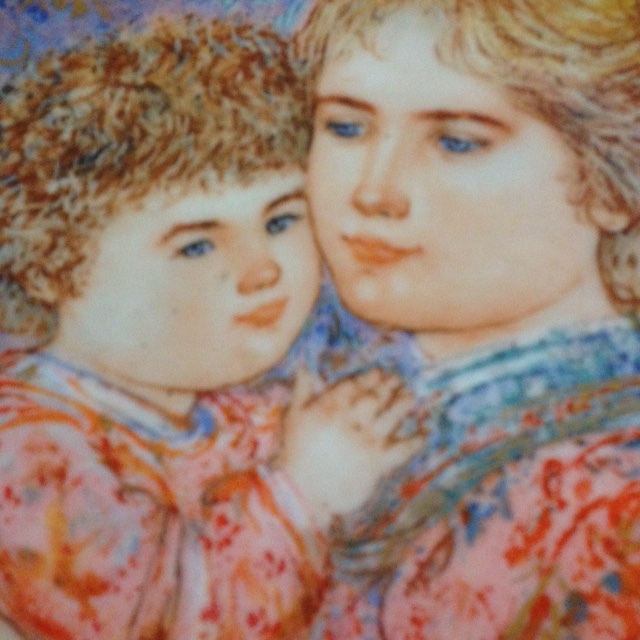 This entry was posted in 1980s Era, Collectibles and tagged collectible plates, collectors plates, Edna Hibel, Erica & Jamie, plates. Bookmark the permalink.